Buy your copy on Amazon here. By using this link, you are supporting me to keep This EndoLife going! This EndoLife Book Club is here! And we're kicking off with Lisa Lister's Code Red on March 3rd! Why have I chosen this as our first book? Well, for a start, it's been sitting on my bedside table (that's not true, I don't have a bedside table, it's on the floor, by my bed) for waaaay too long. Secondly, I am much better with my cycles this days. I know I feel like super woman when I'm ovulating, I know I feel depressed and fatigued before I'm due on. But I want to get much, much deeper. Instead of working against my body, I want to work with it all month. I want to be the best I can be when livng with endometriosis. I don't mean striving, striving, striving and ignoring my body's needs and natural states, I mean learning when how to work with it to feel good and knowing when to slow down and take care of myself. It's also about helping us get to grips with the basics of our cycle. How many of us live with endometriosis and what feels like constant, indescribable period pain? And yet we know very little about our cycles? Don't feel ashamed about this, I don't either - menstrual wellbeing hasn't ever been high up on the curriculum. So now I want us to do something about it, educate ourselves and understand our bodies and how we can support them to feel empowered, in control and good. Lisa Lister has endometriosis, and the experience of living with the disease has helped her get in touch with her body again and actually work with it to feel better and manage the disease. So she's been there, she gets it and she's created a way to help live with the condition. 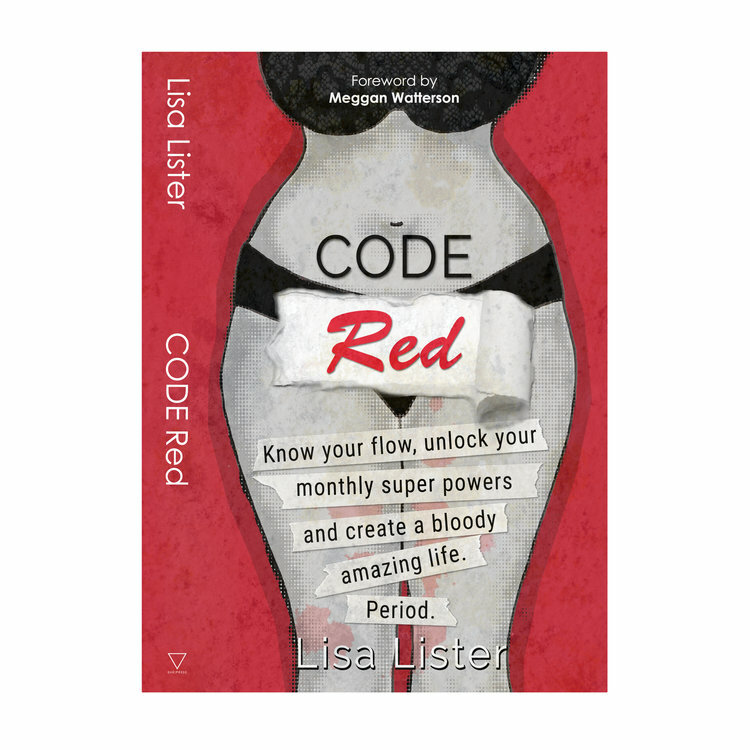 You can buy your copy of Code Red By Lisa Lister here. By using this Amazon Associate link, you'll supporting me to continue creating free content and podcasts for the endometriosis community. If you're joining the book club, the first official month begins March 3rd - yep, the first day of Endometriosis Week. Woo! Double whammy. We will read a new book every month (let me know if you think this isn't enough time, I'm happy to improve and adapt), beginning the first Saturday of each month.